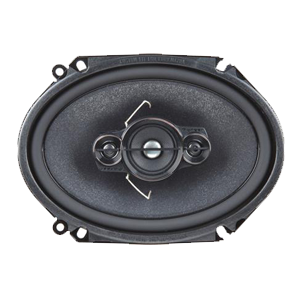 Pioneer’s pumped-up TS-A Series TS-A6886R 6″x8″ 4-way speakers give you a powerful speaker solution with a friendly price tag so that you don’t go over budget building a whole system. 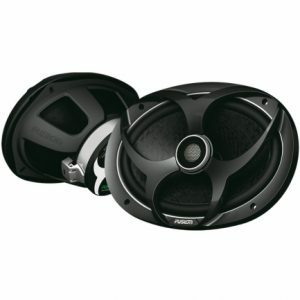 Pair these puppies with a new car stereo for a refreshing sonic upgrade, or go all the way and power them with an outboard amp. 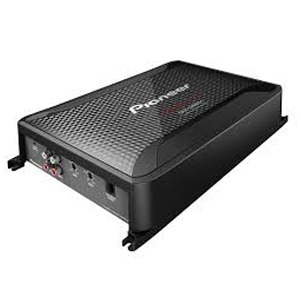 Either way, these Pioneers will handle up to 60 watts RMS, so you’ll have a high ceiling for cranking your jams. These speakers deliver a satisfying punch, thanks to a woofer cone made of reinforced mica for rigidity and responsiveness. 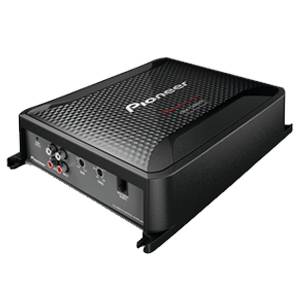 Pioneer adds an extra midrange driver so you get the most out of chunky guitar riffs, powerful drums, and distinct bass lines that otherwise would remain hidden when listening on sub-par speakers. Two dome tweeters add in all the high-frequency details that make music exciting.